Robert Masashi Monden. Photo credit: Ballard Family Mortuaries. 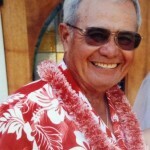 Robert Masashi Monden of Kula, Maui, passed away on June 11, 2015. 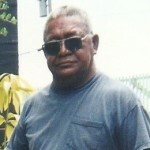 Robert was a devoted husband, father and adoring grandfather. He retired from the Hawaiʻi State Judiciary as its Chief Administrator of the Second Circuit Court. 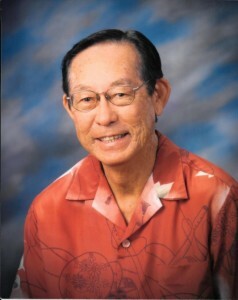 He was a veteran of the Korean War, a former councilman, and a Kula farmer known for his statice flowers and tender string beans. In his younger days, he loved ulua fishing. He is survived by his loving wife of 51 years, Mary Monden, daughters Linda Monden (Scott Sakakihara), Jade Monden (Audrey Malasnik), stepson Brian (Miae) Char, granddaughter Sarah Sakakihara, and brothers Henry Monden and Roy (Elsie) Monden. 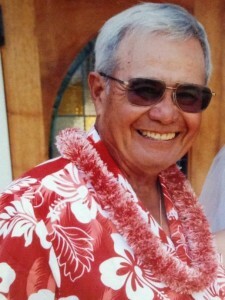 Visitation will be from 4 to 5:00 p.m. on Saturday, June 27, 2015 at Ballard Family Mortuary in Kahului, followed by a celebration of his life and dinner. The family requests no flowers and special considerations when communicating with Robert’s wife Mary, whose short term memory loss has not allowed her to remember his passing. ***For more information, to leave condolences, visit the Ballard Family Mortuary website.